US companies shelled out roughly $709 million and 6 million staff hours last year to comply with regulations to disclose conflict minerals in their supply chains, according to recent research by Tulane University and Assent, a software and services firm that partners with companies to automate their compliance processes. Adorable possible violations of the Dodd-Frank conflict minerals compliance regulations. A glance at the results of the study, which included 2015 Dodd-Frank 1502 form SD submissions, showed how each company performed according to Securities and Exchange Commission regulations and OECD due diligence guidelines. A team led by Tulane University’s Chris Bayer, PhD., ranked all 303 respondents according to both criteria. Assent has provided an excellent video explanation of the criteria for anyone interested. We have also written extensively about how US manufacturing firms can comply with the Dodd-Frank conflict minerals regulations and this study is the first major one to quantify the difficulty firms, large and small, face in confirming that their supply chains are conflict minerals free. The research focused on company disclosure processes regarding the use of minerals such as tin, tantalum, tungsten and gold from the Democratic Republic of Congo, a mineral rich nation that is mired in ongoing civil war. More than 80% of the companies that filed compliance reports with the SEC said they couldn’t identify whether their products contain conflict-free minerals. Selling Mylar Balloons And Selling Computers: Are They The Same? A curious case comes from the party materials and decorations retailer Party City Holdings, Inc. We were surprised to see that Party City filled out a 1502 form at all, as most of the companies on the list were large manufacturers and technology companies such as Apple, Microsoft and IBM and not party supply retailers known more for selling funny St. Patrick’s Day hats and last minute Halloween costumes. 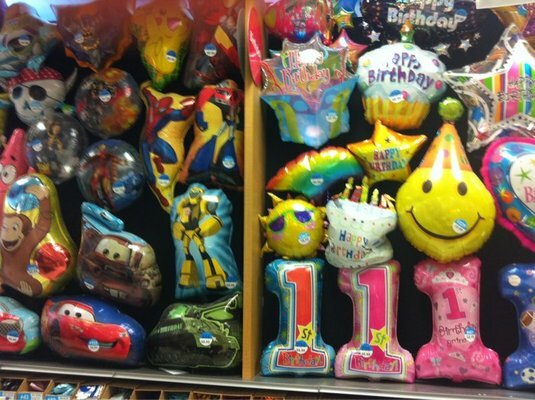 Party City got a ranking in the bottom 30 of the respondents for being honest about its balloons and other party materials. While it’s sort of funny to discuss mylar balloons in this context, the question of how to vet the suppliers of suppliers is NOT unique to the company. Party City surveyed its suppliers with respect to the origin of any conflict minerals that are included in its products. Of the suppliers who responded, none responded that they use conflict minerals from the covered countries. For those suppliers who did not respond to the initial inquiry, the company sent a follow-up inquiry to solicit their response. What more can a seller of mylar balloons and giant inflatable palm trees do? Is it any wonder that 80% of the companies couldn’t identify whether their products contain conflict-free minerals? Another 9% used language that didn’t specify if their supply chains even contained the metals in question, according to the report. The companies in the top 30 for compliance include industry heavyweights such as Nokia, Blackberry Limited, Ford Motor Co., Goodyear Tire and Rubber Co. and the aforementioned Microsoft, IBM and Apple. Microsoft, for example, provided a framework for detailed due diligence to support responsible global supply chain management of minerals with its 1502 SD form. There’s an entire section on supplier engagement. The Redmond, Wash., software giant also provided a detailed explanation of supplier guidelines on their site. While it is certain that a level of diligence above simply asking suppliers where they get their materials from exists, it still begs the question of can the Dodd-Frank conflict minerals regulations be effective when they treat Party City and Microsoft as if they are, essentially, in the same business and dealing with the similar supply chain issues? Want to see the full study? Visit Assent’s website.